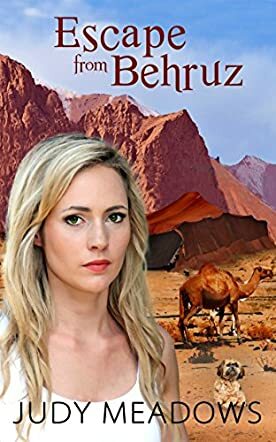 Escape from Behruz by Judy Meadows is a quick read, a contemporary romance with a unique setting in the Middle East. This is a love story set in difficult times and challenging social and political climates. Olivia and her child, Jamal, are in great danger and Rashid is there to help them escape the violence in Behruz. Follow the trio as they undertake a difficult trek across the mountains. Two souls who once felt connected to each other; now that they are so close, can that attraction be rekindled and can friendship grow into intimacy? Can Olivia conquer her fears and tell Rashid the truth about Jamal, and does Rashid have the courage to risk his heart again? This is a sweet romance, a story more of the heart than one that is action-driven. The title may make one feel as though they’d be reading about an escape journey with an elaborate and sophisticated plot, but what they will encounter is two ordinary and well-developed characters with strong backgrounds. Navigating the labyrinths and the landscapes of their hearts is interesting. I enjoyed the fact that the love between Rashid and Olivia grows with time and readers can understand how they nurture it. The writing is real and it takes place in a beautiful setting, capturing great images from the landscape and powerful social and political moments. I enjoyed the portrait of the nomadic life. The writing might not be stellar, but it is engaging, infused with insightful moments and images that are cinematic. Escape from Behruz by Judy Meadows transports the reader into the inner workings of the hearts of the characters, allowing the reader to feel their fears and anxieties, their hopes and secret longings, a journey that culminates in a satisfying denouement. Overall, it is a great read.